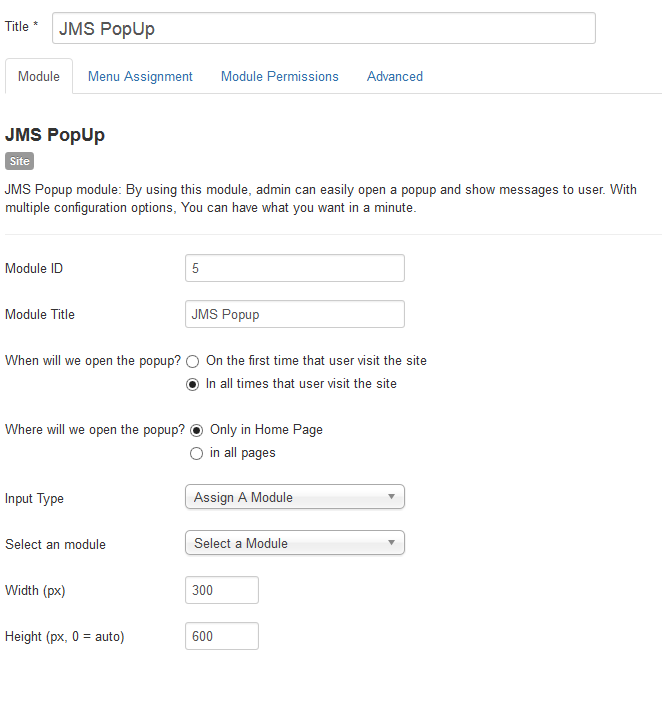 JMS Popup is the most powerful module that help you easily show messages to users. 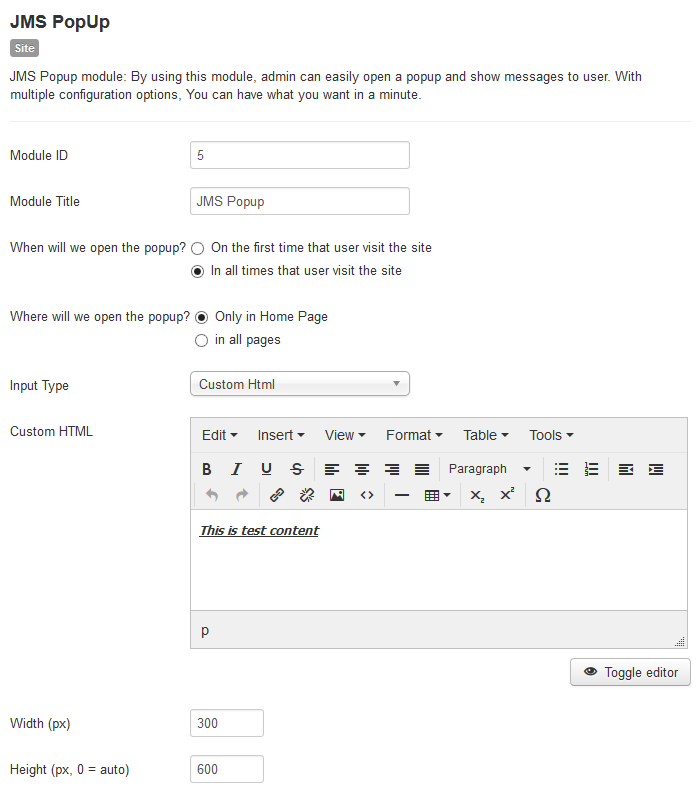 With its options, you can have the popup that you want in a minute. 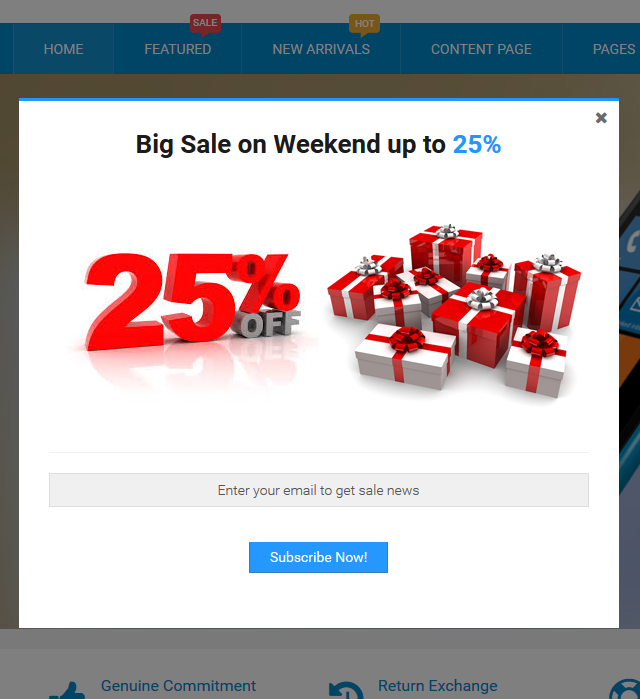 Insert Videos, iframes, images and text contents into the Popup.